We’ve heard it repeated by telecom giants and smartphone OEMs for years now. The fifth-generation network promises lightning fast download speeds, an IoT revolution, and rapid streaming with essentially zero latency, but what good is 5G without 5G phones? We’ve put together a list of all the major Android manufacturers that have either teased or confirmed phones with 5G support. We’ll compile all the rumors, speculation, and confirmed news here over the coming months and updating the post as more information emerges. Who will win the race to the first true 5G phone? Let’s find out. In typical Google fashion, the search giant is letting others make the big promises, and testing moonshot ideas in the background like delivering high-speed mobile internet via drones. In theory, the Google Pixel 4 could support 5G, although I wouldn’t hold your breath. Google has been more than happy to skip over the latest tech in the past. The Pixel 3 series missed out on an in-display fingerprint sensor and still packs a single camera lens and just 4GB of RAM. Google has been more than happy to skip over the latest tech in the past. If you’re holding out hope for a 5G phone from the Mountain View company, you might want to keep your eyes on Verizon. Google has traditionally partnered with Verizon as the exclusive carrier for the Pixel range, and Verizon is fully aboard the 5G hype train. Google has already partnered with Verizon to offer “free” Chromecasts for its 5G Home service, which is currently only live in four U.S. cities. Could a 5G-supported Pixel 4 also launch on Verizon in Q4 2019? The jury’s still out. Nokia licensee HMD Global was one of the many OEMs listed by Qualcomm as working on devices set for launch “starting in 2019” which all pack the 5G-ready Snapdragon X50 5G modem. 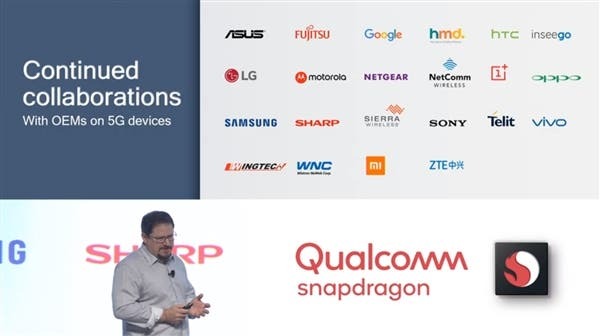 That announcement came back in February and HMD’s logo also popped up on a list of collaborators for Qualcomm’s 5G ready Snapdragon 855 SoC at the silicon giant’s 5G-centric summit in December. That doesn’t mean we’ll definitely see a 5G Nokia Android phone in 2019, just that the Finnish firm has plans for 5G at some point in the future — potentially far in the future. Back in May, HMD Global announced the opening of its “Future Lab” in Shenzhen, China, where it will funnel its investments into next-gen technologies such as 5G, as well as materials research, and AI and imaging. Basically, a Nokia 5G phone is coming, but HMD’s (quite sensible) strategy is to wait and try to deliver a quality device rather than rushing to be first. There’s no OEM on this list with a larger stake in the success of 5G than Huawei. From the core network hardware to 5G chips, all the way up to the actual phones supporting the network, the Chinese giant is all-in on 5G’s entire infrastructure. As of April this year, Huawei has reportedly spent $600 million on 5G research since 2009. Despite high-profile setbacks in the U.S., Huawei is pushing forward with 5G solutions in China, Europe, and beyond. However, all that won’t mean much if it doesn’t also have a phone to lead the charge. Huawei is incredibly keen on snatching the “first 5G phone” title. Initially, Huawei promised its 5G phone — which many suspected would be the Mate 30 series — would be ready for the second half of 2019, but recently that estimate moved to Q1 2019. In fact, Huawei is now expected to unveil a foldable 5G phone at Mobile World Congress 2019. Note that I didn’t say prototype either, this is apparently the real deal. “We look forward to seeing you in Barcelona in February, where we will launch the world’s first 5G smartphones with foldable screen (sic),” said Huawei CEO Richard Yu at a recent 5G-centric event in Beijing. While that use of “smartphones” in the plural seem to be a translation error, the quote appears to confirm that at least one 5G-equipped foldable phone from Huawei will take the stage in Barcelona next month. Whether we see this mystery foldable 5G phone at MWC or not, however, it seems foolish to bet against Huawei being the first OEM with a 5G phone ready for prime time. According to Honor CEO George Zhao, Hauwei’s sub-brand could actually be first when Honor launches the world’s first 5G phone next year. That’s right, Huawei’s claim to the 5G throne could well be snatched by… Huawei. If Honor is first, Huawei will still count it as a win, of course — don’t forget Huawei’s dominance is due in no small part the Honor brand’s success. Aside from Zhao’s claims, we know absolutely nothing about the phone itself. Could we perhaps see a Magic 2 variant with 5G support? The fallen Android king refuses to give up on its mobile business despite several years of catastrophic failure. Like so many other OEMs scrambling for market share, HTC is hoping 5G will shake up the industry. It’s one of the many Qualcomm partners testing the X50 5G modem. There’s also a good chance HTC’s 5G phone will pair the X50 with Qualcomm’s Snapdragon 855 processor. HTC was among the manufacturers named at Qualcomm’s 5G summit. HTC’s vested interest in the success of 5G isn’t just based on its mobile business. HTC also already has a partnership in place with China Mobile for 5G development in the region. HTC’s vested interest in the success of 5G isn’t just based on its mobile business, however. 5G is also expected to usher in the next evolution of virtual reality and augmented reality technology, with 5G mobile broadband — and the Snapdragon 855’s XR capabilities — enabling VR and AR experiences at a reduced cost with next to no latency. The Vive is still at the forefront of VR innovation, and the Taiwanese company no doubt hopes the substantial benefits of 5G will lead to mass adoption of VR and, by proxy, its Vive product family. Maybe it’s finally time for that long-rumored Vive smartphone, only this time with 5G support? Motorola’s parent company is one more OEM promising to absolutely, 100 percent become the first company to deliver a commercial 5G phone. That’s according to Lenovo‘s vice president Chang Cheng, seemingly unaware, as with every other executive quoted in this article, that only one manufacturer won’t have been talking nonsense this entire time. Don’t bet on Lenovo being first. Like so many phones on this list, Lenovo’s first 5G offering will reportedly feature Qualcomm’s Snapdragon 855 SoC and X50 modem, but that’s all we know so far. As for Cheng’s bluster, we’ve all been burned by Lenovo’s promises before, most recently with the bezel-less Z5 concept sketch posted by none other than Cheng himself. TL;DR: Don’t bet on Lenovo being first. LG has promised to launch “the first 5G smartphone in America in early 2019” in partnership with U.S. carrier Sprint. The unnamed phone will be the first 5G phone to debut on Sprint’s own 5G network, which is expected to go live in nine U.S. cities in Q1 2019. A Sprint executive recently let slip LG’s 5G phone will be “distinct” from the rest of the pack and “immediately recognizable” as a 5G device. We’re not sure what that means exactly, but we do know it’ll launch at MWC 2019 and it won’t be the LG G8 ThinQ. In an official teaser, LG revealed that its 5G phone will feature a Snapdragon 855 chipset, 4,000mAh battery, and a vapor chamber cooling system. The phone will break cover on Feb. 24 in Barcelona. If you ask Motorola, the race to the first 5G phone is already over thanks to the Verizon-exclusive Moto Z3 and the upcoming 5G Moto Mod. The snap-on modular attachment is hardly a looker, but the award-winning Snapdragon X50 5G modem-powered mod has already been successfully tested on a commercial 3GPP 5G network. There’s still no solid release date for the 5G mod, though there’s a good chance it’ll be front and center when Verizon’s 5G mobile network goes live early next year. There’s also no word on price, but Motorola did recently update the Z3 to enable support for the mod. Whether or not the Moto Z3 qualifies as the first 5G phone is up for debate too. It doesn’t natively support 5G, which may be a semantic dispute for some, but I’m guessing the other OEMs listed here won’t be so willing to accept Motorola’s claim to the 5G throne. Aside from the Moto Z3, there’s also the next phone in the series, the Moto Z4. The unannounced phone, currently codenamed “Odin,” is expected to be powered by the Snapdragon 855 SoC and once again opt for 5G Moto Mod rather than native 5G support. OnePlus hasn’t been shy about its plans to launch a 5G phone in 2019. OnePlus co-founder Carl Pei confirmed the company will release a 5G phone next year during the Qualcomm 4G/5G Summit in October. CEO Pete Lau then stepped on stage at Qualcomm’s Snapdragon summit two months later and proclaimed that the first 5G phone to hit the market will be made by the Chinese brand. OnePlus walked this back a couple of days later citing mistranslation issues, but the firm is still clearly dead set on leading the pack on 5G. Lau also suggested that all 5G phones are likely to be $200-$300 more expensive than their 4G equivalents. The fact that every OnePlus phone has featured Qualcomm silicon — not to mention the two appearances at Qualcomm summits — makes it fairly obvious OnePlus will probably look to the increasingly familiar Snapdragon 855/X50 combo to power its 5G phone. We also know OnePlus’ 5G phone will be announced early in 2019, but it won’t be the OnePlus 7. That leaves us with two alternatives: either OnePlus is waiting for the inevitable OnePlus 7T in late 2019, or it is readying an entirely new phone line for the first time since the OnePlus X.
OnePlus’ BBK stablemate is also testing the X50 modem and aiming for the “first 5G phone” mantle. 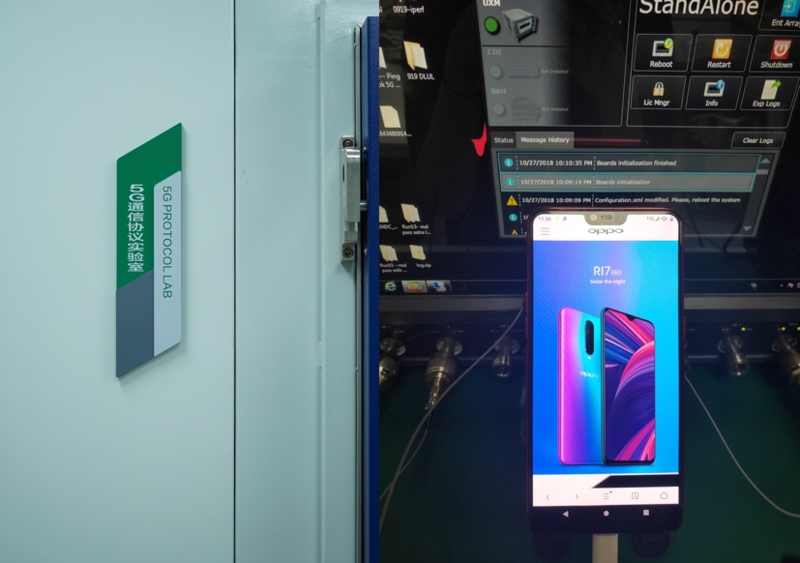 Oppo recently claimed to be the first manufacturer to successfully connect to a 5G network using a smartphone — in this case using a heavily modified Oppo R15. It even posted a nice photo to prove it. Oppo also established the Oppo Research Institute earlier this year, opening several R&D branches in Silicon Valley, Yokohama, Japan, and several Chinese cities to push forward work on new technologies including, you guessed it, 5G. Oppo is one of the many Chinese OEMs that could benefit greatly from 5G’s global rollout, so expect to see a 5G phone from the Dongguan firm sooner rather than later. If you need proof the smartphone sector is in a sales slump, look no further than the industry leader. Samsung is still far and away the biggest Android OEM, but even the South Korean giant saw sales drop in 2018. Samsung, like so many other OEMs, is hoping 2019 will change all that, as new technology finally comes to the market. Chief among those technologies is 5G. Samsung has already revealed its own 5G-ready Exynos modem and is apparently readying a special Samsung Galaxy S10 variant with 5G support for release in Spring 2019. We’ve heard plenty of rumors out of South Korea that Samsung is going all out for its tenth anniversary Galaxy flagship. The reports suggest Samsung is preparing to unleash four Galaxy S10 models, one of which will support 5G connectivity. Thanks to early reports, we’ve known for a while that the 5G model — internally dubbed “Beyond X” — will be an absolute beast of a phone, packing a 6.44-inch display and six cameras (two selfie cameras, four on the rear). That’s in addition to 5G support and most likely the long-rumored in-display fingerprint sensor the company has been testing for years. More recent reports have referred to the phone as the Galaxy S10 X and will feature an in-display fingerprint sensor, a whopping 1TB of storage, a humongous 5,000mAh battery, 10GB of RAM or more, and some kind of advanced predictive AI. There’s also plenty of speculation that the Galaxy S10 X will debut at Samsung’s Unpacked event on Feb. 20, just a few days before MWC 2019 kicks off. Verizon, AT&T, T-Mobile, and Sprint will all stock the S10 X, with release date potentially coming as early as March. While we’re still waiting to see the consumer version, Samsung is one of the few OEMs to actually show off a prototype 5G phone. The device, showcased at Qualcomm’s Snapdragon summit, featured an early look at Samsung’s Infinity-O display and demos showed how it could make video calls with effectively no latency at an extremely high resolution. AT&T has also let slip that it will launch a second 5G-capable Samsung phone in the second half of 2019, which could well be the Note 10. As for Samsung’s long-awaited foldable phone, which also looks set for a 2019 launch, there’s a very strong chance it won’t support 5G. Aside from a social media snafu where an official Sony Twitter account described the Xperia definitely-not-5G-compatible Xperia XZ3 as a 5G phone, the Japanese giant has been relatively quiet on the 5G front. Much like LG and HTC, Sony’s mobile division has come under scrutiny for under-delivering in recent years and it likewise sees 5G as a second chance of sorts. Sony has a massive catalogue of media content across gaming, video, and music, all of which will greatly benefit from 5G. Sony CEO Kenichiro Yoshida talked up how 5G’s low latency and high bandwidth will be a huge boost to Sony specifically. The company already has a massive catalogue of media content across gaming, video, and music, all of which will undoubtedly benefit from 5G’s lightning fast streaming speeds. If ever the time was right for Sony to leverage its other (far more profitable) businesses to deliver a phone for media hungry consumers, it’s now. I had a few ideas about a PlayStation Phone if you need any tips, Sony. As for Sony’s 5G phone itself, there’s no concrete news yet. Sony is on Qualcomm’s X50 and Snapdragon 855 partner lists though. The last of the three BBK companies is already testing 5G with a modified version of the Vivo Nex kitted out with Qualcomm’s X50 modem and a matching Snapdragon SoC. Vivo Senior Vice President Alex Feng echoed pretty much every other smartphone company executive on 5G’s importance. “The 5G era will spark abundant and new possibilities for the smartphone industry,” he said. Shockingly, Vivo hasn’t promised to deliver the first commercial 5G phone either, merely noting it hopes to bring the first batch to market sometime in 2019. Xiaomi recently revealed the almost completely bezel-less, slider-packing Mi Mix 3, confirming a 5G variant of the handset is on the way in Q1 2019. That makes Xiaomi the only OEM on this list to have actually confirmed the exact model of its first 5G phone. Congrats, Xiaomi! Xiaomi’s Donovan Sung teased 5G connectivity on the then-unannounced Mi Mix 3 in a tweet back in September. We also know Xiaomi is one of the many OEMs working with Qualcomm. After a short-lived U.S. supply ban threatened the company’s very existence in 2018, ZTE is looking to bounce back in 2019 with a 5G phone of its own. Initially planned for an early 2019 release, the Chinese firm has since pushed that estimate back to “late 2019.” ZTE hasn’t given a reason for the delay, but it’s likely still working on a design that tempers the higher power consumption caused by 5G modem technology. Several notable Android OEMs have yet to address the looming dawn of 5G at all. Online mobile gaming and game streaming look set to benefit massively from 5G (just ask Nvidia), but Razer has yet to make any 5G commitments for any future Razer Phone. Blackberry licensee TCL also hasn’t addressed the 5G question, nor have Acer or Asus — the latter is partnered with Qualcomm, though. There’s also an outside chance Essential could see 5G as a way back into the smartphone market, but with the Essential Phone 2 seemingly cancelled it’s something of a long shot. Which 5G phone are you most excited to see? Let us know in the comments!